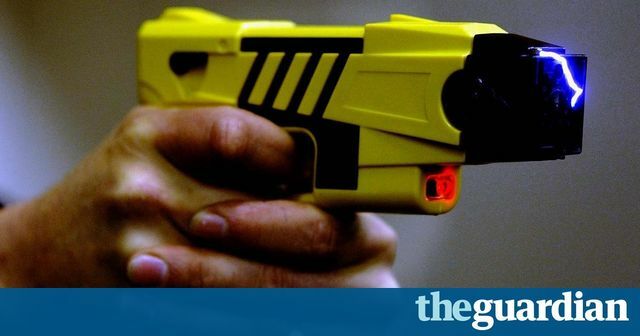 Not many of us may be aware that Tasers have been used against patients in locked psychiatric settings and this practice has come under severe scrutiny recently. The debate is ongoing in the House of Lords and we’ll have to see what changes (if any) will be considered by them. Meanwhile, it raises a question for our care clients as to when restraint can be used in a care setting. It is very common in a care setting (other than perhaps secure units) to have a “no restraint” policy, meaning that it is never permissible for staff to physically restrain the service users or to prevent their movements (other than as permitted by a deprivation of liberty order). However, there is a common misconception that this means that any act of restraint will be unlawful and will therefore constitute serious misconduct by a member of staff. In fact, this is not always the case. To determine whether something is a lawful restraint, two things need to be considered: first, at what point does an argument that restraint was reasonably used by someone in self-defence trump the “no restraint” policy? Second, how far does a carer’s duty of care extend in situations where restraint might be necessary? In a nutshell, the law on self-defence is that an individual can act to protect themselves, or someone else, if they believe them to be at imminent risk of harm. As an example, this could mean using reasonable restraint to prevent a service user attacking you, attacking a third party or hurting themselves. In such a scenario, it’s important that the minimum of restraint is used for the minimum amount of time required to prevent the immediate threat, before employing other techniques to diffuse the situation. The duty of care will require that the care provider takes all reasonable steps to prevent service users coming to harm. But this needs to be balanced with the right of the service users to make harmful choices. Whilst harmful choices may be discouraged, if the individual has the capacity to make such a choice they must be permitted to do so. It is certainly welcome that inappropriate use of force or restraint is being scrutinised by Parliament and that the interests of service users are put to the forefront of legal decisions. But this is by no means a straightforward issue and it will always be crucial to pay close attention to the specific facts of any scenario before making a judgment. You're on our blog and updates site, which is hosted by elXtr. elXtr is a leading digital hub powered by the award-winning lawyers at LHS Solicitors LLP, bringing you real law made easy. Find out more about elXtr here. Those with a serious mental health condition can become agitated or upset when experiencing psychosis or mania and they may appear aggressive, but this symptom of an illness, not violent criminal behaviour. There is a need to dispel the myth that this group of patients are dangerous.